Welcome to my individual website. I hope you will use this site to stay in touch. This section focuses on my private teaching and consulting services, and provides information on upcoming workshops, retreats, and events in the US and Europe. It also offers periodic reflections and describes how to arrange for sponsored programs. My primary work and teaching will continue to focus on issues related to death and dying, to grief and loss, and on supporting mindful and compassionate care. 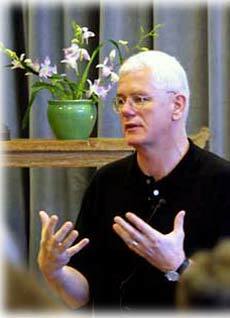 The intent is to expand and deepen the approaches I developed as the Founding Director of the Zen Hospice Project. Through these activities I will share the precious gifts offered by my teachers, most especially the hundreds who have allowed me to accompany them in the vulnerable and sacred time of their dying. Beyond all of this, I hope to offer more diverse programs emphasizing the relevance that the lessons learned near death have for living a more loving and compassionate life. These efforts will include Buddhist teachings, meditation retreats, articles, and programs that address other areas of life transformation. These programs are separate from my work as the Director for Metta Institute® and my role in leading the End-of-Life Practitioner Program. Unless otherwise indicated, funds generated through these activities do not financially support Metta Institute. New programs and materials are always being created. I encourage you to explore the opportunities we offer here for spiritual development and personal and professional growth. Please feel free to contact me with questions or to arrange a presentation.